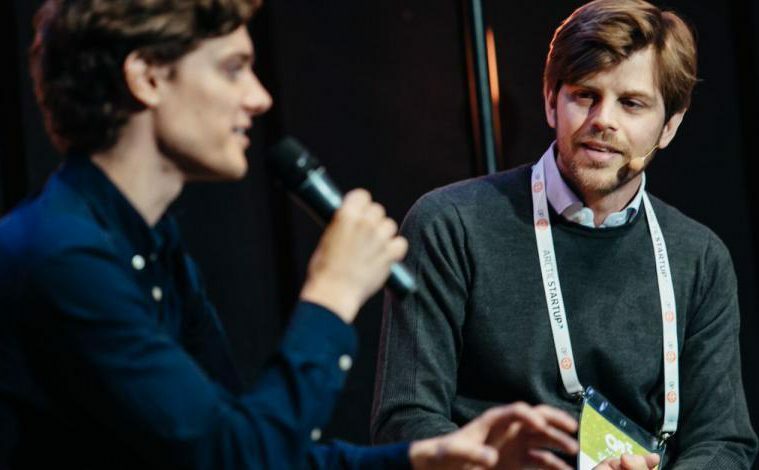 In nine years Mattias Ljungman, co-founder of Atomico alongside Niklas Zennström, has built a Nordic-flavoured, London headquartered investment company that already has some impressive exits under its belt. Think Supercell. Ljungman works closely with teams like Truecaller and Klarna, while also leading global operations of Atomico, which now includes 29 staff in locations like Japan, China, Brazil and Turkey. 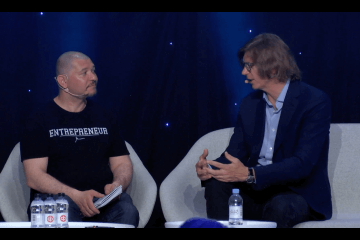 CoFounder Magazine’s Tarmo Virki sat down with Mattias on the sidelines of our Arctic15 startup conference in Helsinki. You are Swedish, but based in London, what makes you visit all these events and conferences in the region? 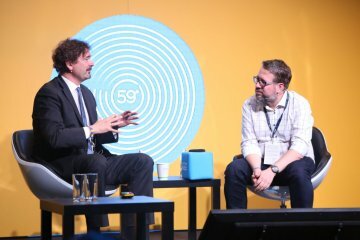 I like to be in the Nordics as much as I can because innovation here is amazing, the ecosystem is getting stronger and stronger, and we have a small community that is highly successful – it has a global mindset and is really experienced. Putting all that together with its smallness you can actually get in touch with anybody. Having conversations with people in the community is a very open, collaborative way of working – it is very easy to reach people. This is the thing that is going to propel the Nordics. I think the attitude is great. It is clear that it is not very difficult to talk to the Ilkkas of this world. Where does this especially Nordic thing come from? I don’t think there is one single answer. I think we have a good education system, I think we have a mindset that from day 1 we have to think globally because we have small markets. How do we make big, proper business? We have to think globally. We have people who inspire us and we have great role models. In Sweden we have been lucky, and also in Finland with Nokia – it is quite a global story. Many companies have got that global outlook – it has given people confidence to say yes, we can do it. And then I think there is the tendency for people to stick to their companies – they fight hard for them to be successful. If you look at the gaming generation which has come out, it’s not like they have started one company and it was successful. Most of them have been through several iterations – it’s the continuity of that which is very helpful. Atomico and the whole startup world has been crazed by talk of unicorns. Is it just a new fad or is there something deeper in this? We are all amazed by the progress and the impact we are having – not only on our local markets but also globally. I think we are pretty proud of that. We tend to simplify things, but we know this is something big and broad that is happening here. It is not about that specific number, it is really about us knowing that we have created companies that have become big and are scalable. That is unique. And they are transforming sectors and economies. That’s the most exciting thing. That’s why every entrepreneur gets up in the morning. With CoFounder it’s the unique stories we are chasing and there seem to be a lot of them. It might be the education in the Nordics, but people also speak a lot about climate – there isn’t much you can do outside. That might be the case, but in the Nordics we also have a system of togetherness. We have a community where we don’t put a lot of boundaries in school – you do well there and you will do well in the world – rather than thinking that there are only a selected few who end up there and that it’s very hard and difficult. Somehow our systems have let us think big and not be afraid. I think Finns are known for not being afraid and it’s a Nordic thing too. People are ready to take on that challenge and they are not going to look at all the reasons why this cannot be done. How much have you been able to take that Nordic spirit into Atomico? It is very strong in Atomico, but what we really like is that our people in China are very Chinese and our people in Japan are very Japanese. When we bring Finnish people to China they can experience the real China, or in Japan the real Japan, or in Brazil the real Brazil. In each location there are very specific characters that love their country and love to bring technology to their region. It’s the same passion you feel as an Estonian wanting to bring Estonia to the rest of the world. And think how many great entrepreneurs have come out of Estonia – its exceptional. When comparing Atomico to other VCs it’s clear that some others are bigger, some of them have deeper pockets – how do you try to differ? We are really focused on providing value, and we have built an infrastructure where we have spent a lot of time and money ensuring this. We help people get into Japan, we help people get into China, get into Brazil, and these are very important future markets. 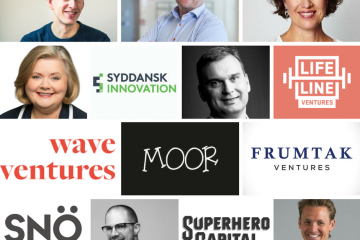 We also have a head of communications, helping the companies who are here in the Nordics, where we are always a little bit too humble, too careful, to position them on the global market and to ensure that they become a blue chip just like in Silicon Valley. And then we have people in places like Tallinn growing companies. We know that growing companies is really hard and if you are doing it out of Estonia, Finland or Sweden you really need to be able to get a big pipeline of people who are high quality and experienced. Who are able to take it to the next level. We try to supplement with our people, to say, “Hey look, this might work in different parts of the world and you can replicate that.” We think that disruption is hard to replicate but there are certain scaling aspects that are easier to replicate. When you do them over and over again you get better at them. What takes most of your time these days? Like any VC we have companies that are going through tough times – they tend to take the most time. Then we have companies that are doing very well and they probably need help only in accelerating. The industry is moving so fast that they need to make sure they stay on track. We spend a lot of time making sure they have the infrastructure they need to become the global winner. I spend a lot of time on both ends, and then people tend to forget that we run the firm as well. For us, as we are passionate in doing something very different and changing the way venture capital is done which takes time too. But why head to Brazil? We are yet to see any major exits from the startups there? We believe there will be, otherwise we would not be there. Some things take a little bit more time and you get in at different levels too. We believe great companies come from anywhere – when entrepreneurs have access to technology, they have access to information, and then they can figure out how they can take on the market and do something very different and disruptive. Looking around the Nordics, what’s the most interesting field? It is really interesting that when you look at companies being created they are slowly but surely taking on the bigger and bigger challenges. Until today we have only dealt with fairly big challenges, but actually these have been the easy wins. Because of the rigidities that exist in areas like healthcare or FinTech or education, those are hard problems to solve. If we are able to reduce friction and see technology penetrating these markets every day we are going to be able to take on those highly regulated, fragmented, regional businesses that have lots of hurdles and make them global and frictionless. That’s the aim, but it’s going to take time. Then you have really big sectors. ed to transform – I am thinking of transport and Uber as the latest example in this field. It’s a huge industry. Whatever happens, what is different is also that these are integral parts of any economy. They need to have these components and the old economies are becoming more and more efficient because they are implementing new tech. Can big companies even change in those old industries? It’s been hard in the past. I don’t think it’s a given that they won’t. I think some of them will rise to the challenge. Every once in a while I get impressed how large companies say, “Hey, models change,” if they see it … If they see the Abyss and say, “Oh God, if we carry on like this it’s not going to look good,” I think some of them will jump and some of them will kind of … well, we’ll see. How should startups approach you? We try to be available as much as we can. We try to constantly improve and make sure there is a real presence. Send us an email, it’s as simple as that. If you have any contacts related to us, see if they could introduce you. But we try to be as available as we can. What has been the strangest place you have been pitched at? Have you actually heard an elevator pitch in an elevator? I probably have. I hear them everywhere and I love them. There is a reason why I am in this business and why people decide to take on the challenge and try to build something big and change the world. They have that enthusiasm, that hope and belief. That’s not to say that everybody is going to make it. Sometimes it’s the road that’s the most interesting part. Successful entrepreneurs, when they look back, say the best time was when it was the most simple. That probably was the toughest time too. It’s exciting to be a part of that – to help people out and get them on the road to success. 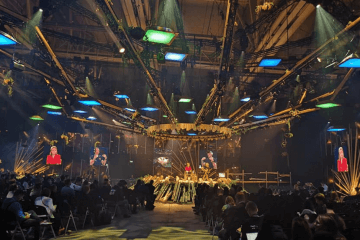 This interview was originally published in CoFounder Magazine‘s autumn issue which has a special focus on the Nordics. CoFounder Magazine is a startup magazine available to order online – and it’s also available now around 150 kiosks across Finland!